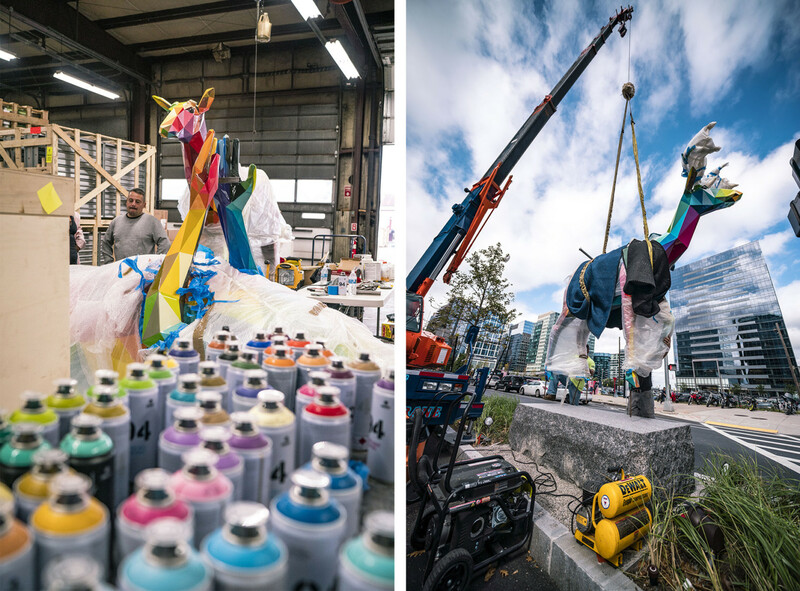 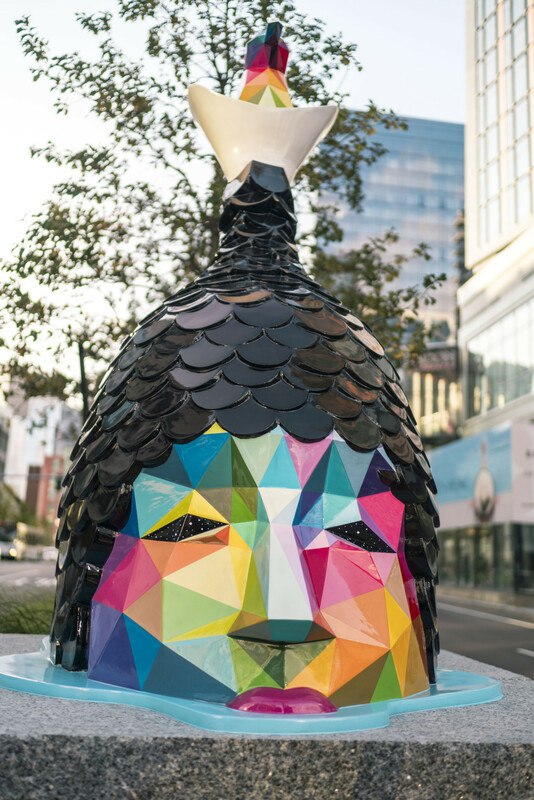 Air Sea Land is a project by Spanish artist Okuda San Miguel, better known as Okudart. 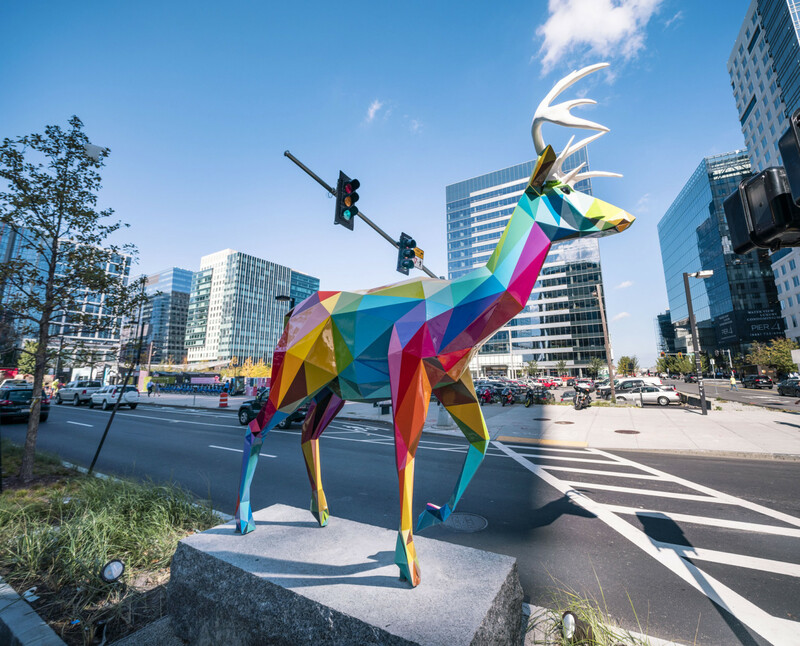 Well known for his installations and impressing paintings in different places and buildings all around the world, he comes back with a stunning project in Boston. 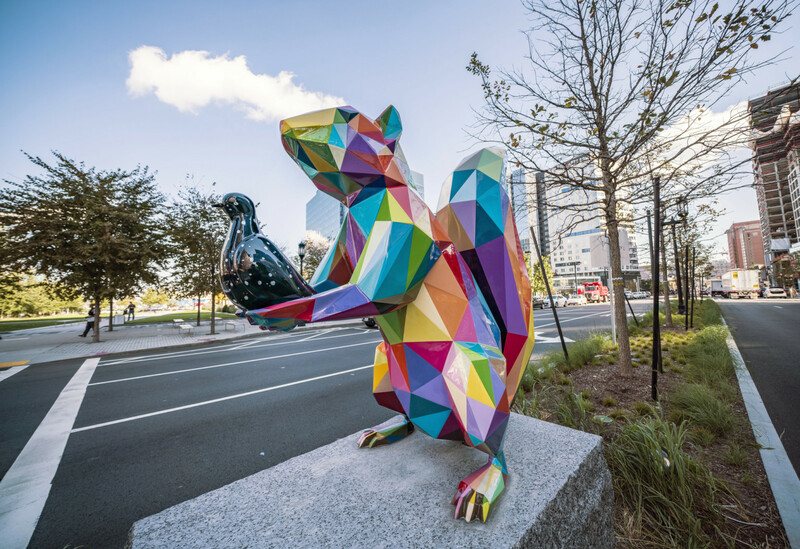 To encourage people to respect and discover local nature, he created giant and colorful statues of typical animals of this region. 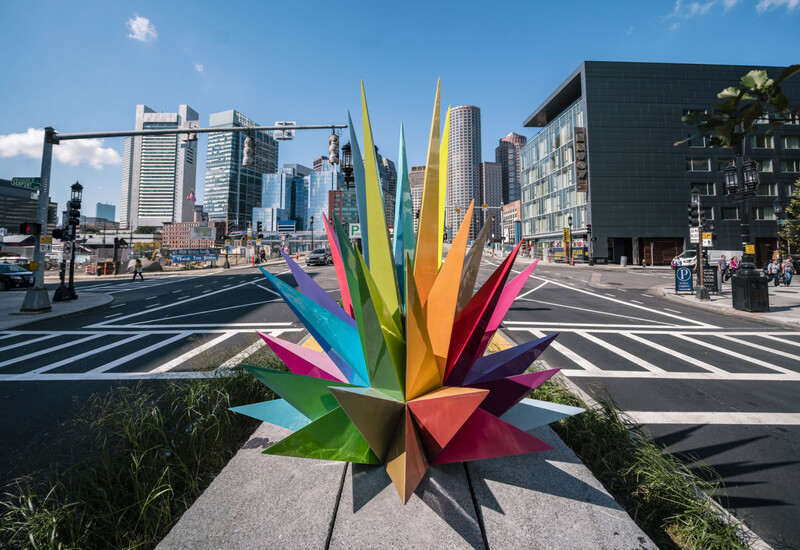 The artworks are visible in the streets of the city, giving to the urban landscape a new meaning. 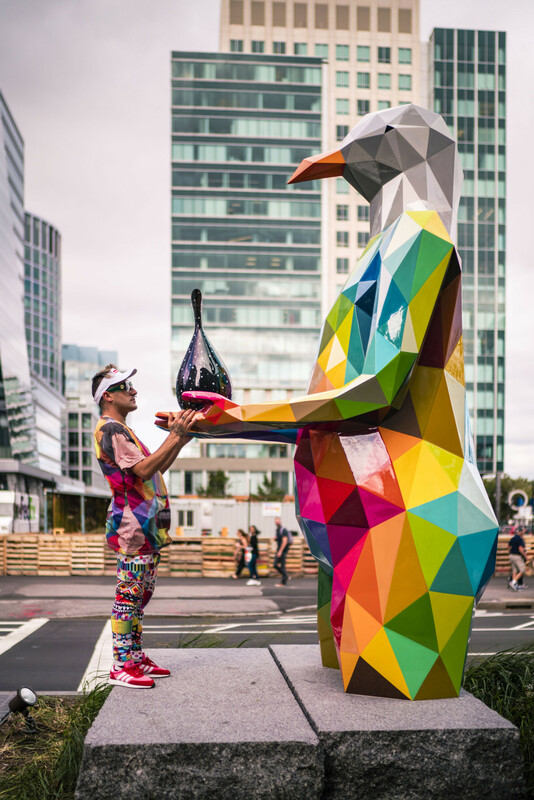 A graphic and contemporary design project with a strong message behind.